As if sleep weren't difficult enough for children, we have to add in Daylight-Savings time. Oh yes, it's that time of year again! This Sunday, most of us will be setting our clocks back an hour at 2am. Some people might rejoice- since we're gaining an hour of sleep- but parents...yeah right! Those little beans don't understand that the clock says 6am, it feels like 7am and they are ready to go! Daylight-Savings time can change schedules and create chaos until everyone is adjusted again, but it's not all bad. Over half of moms (52%) feel that their baby's sleep patterns are thrown off when the clocks 'fall back' and Daylight Savings Time ends! If your baby is 5 months old or older (those younger haven't yet fully developed a sleep pattern), there are a few things you can do to help ease the transition. Here are a few tips from Kim West, LCSW-C, Sleep Lady Solutions, LLC (a sleep expert). For children under 4 years old, its essential that we make naps a priority this time change. Quality nighttime sleep is dependent upon good daytime sleep. Make sure that your children are well-napped during the day so that when the time change takes effect having a later-feeling bedtime isn’t as much of an issue. Start moving your child's nap a few days before the time change. Make a point to slowly adjust your child’s bedtime and naptimes an hour earlier, just 15-30 minutes a day for a few days before daylight savings ends. This way, your child will already be adjusted to the time change. While you’re adjusting naps and bedtime, make sure that you also adjust mealtimes in 10-15 minute increments to help ease the transition. Another great tip..Get outside. It’s getting colder, so bundle everyone up and take a morning walk, just 20 or 30 minutes to make sure that you and your baby get some sunshine, which will help your circadian rhythm adjust to the time change. If you can’t manage a morning walk, make sure that the blinds are open as you start your day, and keep them open up to 45 minutes before nap and bedtimes to help your child adjust to the time change. I personally don't mind Daylight-Savings. I rather enjoy the first couple of weeks. I allow more time with the kids at night so we can re-establish a night-time routine. To ensure that your children know when it’s time to sleep, rely on your established soothing bedtime routine. Routines are comforting for children, so make sure that you keep your baby’s routine the same, although you will be starting it a bit later due to the time change. Make sure that you are changing your baby’s diaper right before you tuck them into the crib to help prevent wet diapers at night and unnecessary nighttime awakenings. If your baby often has diapers that leak during the night and require a change, please make sure to use overnight diapers that can keep your baby dry for up to 12 hours to help limit your baby’s sleep disturbances. 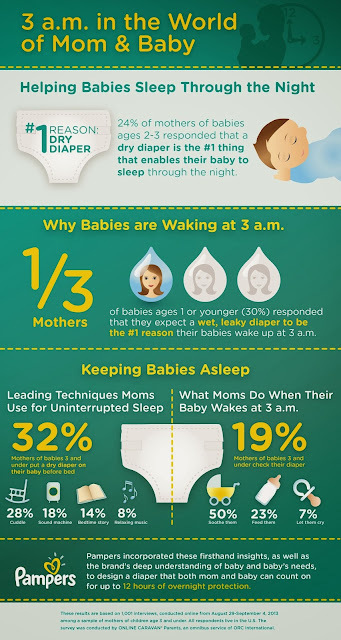 Thankfully Pampers can help those babies stay dry throughout the night, so at least leaks aren't part of the chaos! We know this weekend may be a challenge, but we hope your well rested and up for a great Twitter party next Thursday! We're offering up a great giveaway including a Pack of Pampers Baby Dry Diapers, and a pair of Children’s Place PJ’s! Enter below with the easy Rafflecopter form! I would love a nice massage with lavender oils to help me relax completely before drifting off to sleep! I think someone would have to confiscate my iPad! I would love if someone could watch my son so he doesn't come in and interupt my sleep. A solid nights sleep would be fantastic. I would love it if someone could give my son his bottle for the early feeding so I could sleep just a little longer.